A matte cream eyeshadow that is crease-resistant and color-saturated. Clarins’ formula soothes and nourishes the delicate skin on eyelids, while delivering an intense and immediate color result. Contours and defines eyes with a velvety veil of vibrant color. The creamy texture glides on effortlessly with fingertips, blends easily and is ideal for layering. Available in 3 soft matte shades. 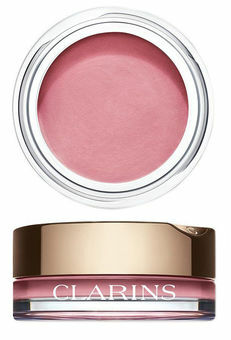 Wear alone or layer with Clarins’ NEW Ombre Sparkle or NEW Ombre Satin eyeshadow monos.